Are you tired of overpriced memberships and big, impersonal gyms? Hate waiting in line for a treadmill? Got a trainer who never listens to you? Try something new and join us at Fit Family Smyrna. We believe in truly private, collaborative fitness, where your fitness plan is not made for you, but WITH you. We are a proud family-owned local business, and love working with other passionate trainers. We will make sure you’re partnered with someone who meets your style and your needs. Your trainer will take the time to get to know you and build a personalized fitness plan with you. Located conveniently in the Ivy Walk neighborhood in Smyrna (just off of 285), our gym is designed to empower personal growth. Separated rooms, your music! We make sure you always feel comfortable, know how to use every tool, and never have to wait for a machine. We invite you to come take a tour! We believe in the importance of whole body health, and the client in partner with their trainer. We build fitness plans together, and believe fitness is for anyone, whether you're a teenager or senior adult, recovering from an injury or simply wanting to tone up. We believe it should be accessible and feature budget friendly options; split a session with a friend or spouse and get fueled by the extra competition and savings. Our family has settled outside of Atlanta, and we have loved the community we’ve built. We all believe in fitness for life, and our team works hard to build a fitness routine for everyone in your life that wants one. 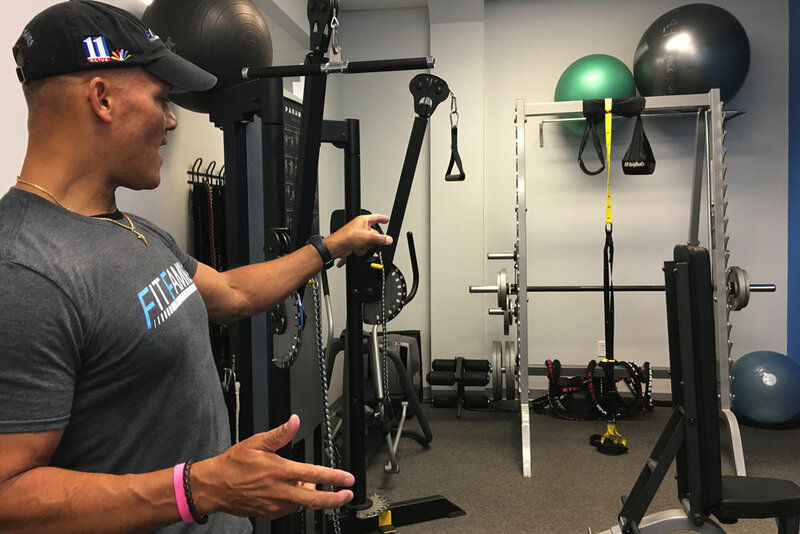 Fit Family Founder Robert Dothard is on a mission to help others achieve their fitness goals. As a professional trainer, he’s been featured on CNN, NBC, his own Total Body Workout series, and “America’s Biggest Loser.” Featured here are some of his favorite work outs for you to try! Sign up with your email address to receive news and updates on classes, new trainers, and more. We promise to not bombard your inbox with newsletters.